INCREASED DRUG USE IN SAM SMITH? 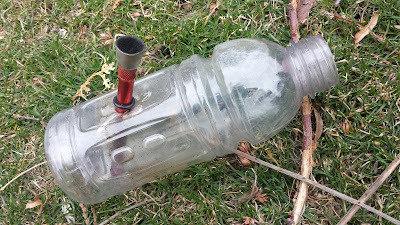 There have been numerous reports lately of public drug use near the North Creek wetland area - specifically, north of the wetland in the spruce growth on both sides of the creek due east of the path leading north from the south parking lot. This has been going on for a long time now but seems to be increasing based on sightings and the higher than usual number of discarded plastic bottles that are used as smoking paraphernalia recently found there and later removed. 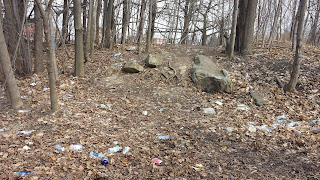 The debris is an unsightly garbage problem in one of the most ecologically interesting parts of the park and public drug use, for now and probably even after upcoming federal changes to the legislation, is illegal and definitely not to be encouraged in our park by turning a blind eye to it. This is a police matter and reports should be immediately called in to 22nd Division at 416 808 2200. SUNDAY, APRIL 23RD - ALAN ROY'S SAM SMITH PARK CLEAN-UP - 25TH ANNIVERSARY!!! Stop Plastics is a local group with international connections that has conducted plastic clean-ups at Sam Smith Park in the past. 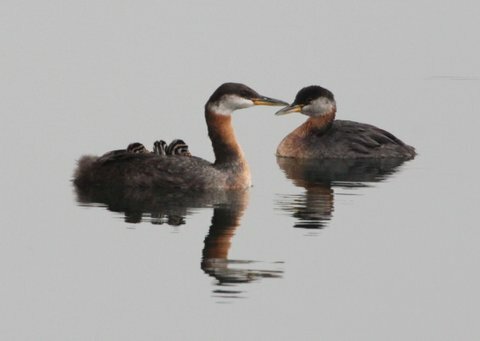 Donna-Marie Batty, a FOSS member who spread the word at last year's Spring Bird Festival, wrote a piece for this blog last year - "Pernicious and Plentiful: Plastics on Sam Smith Shores". 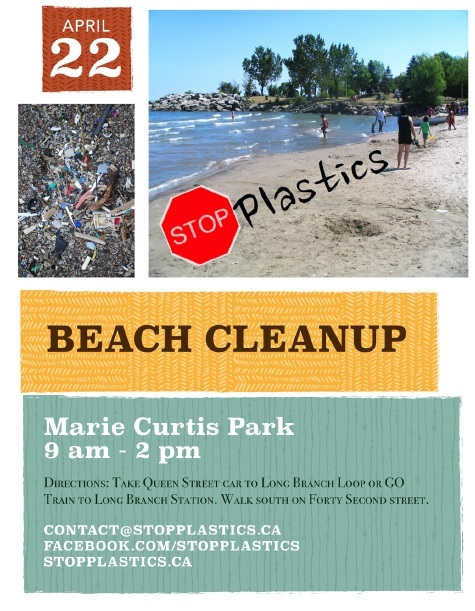 On Saturday, April 22nd, they will be doing a clean-up at Marie Curtis Park and are looking for volunteers. They are planning another clean-up for Sam Smith in September or October. Look for further details. 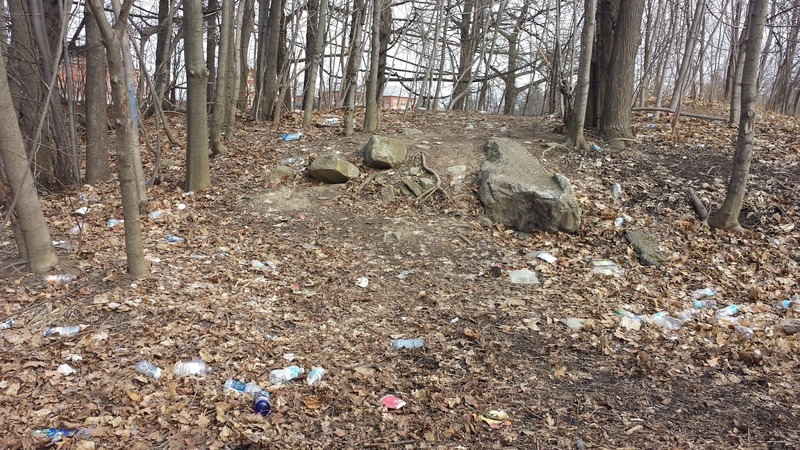 COLONEL SAM PARK CLEAN-UP DAY WITH ALAN ROY: Sunday, April 23. 9am-3pm. Volunteers needed. Bring your own gloves and boots. Water and garbage bags supplied. Draws, prizes and giveaways. Directions/information will be posted at park entrances. Watch for the “sandwich boards”. Contact Alan Roy at alan_roy@rogers.com or call 416-937-4568 for more information. WINTER BIRD FEEDING PROJECT: The project has been a great success. Thank you from FOSS to all the dedicated volunteers who keep the feeders topped up. “MEN’S” PICNIC SHELTER REPAIRS AT COL. SAM: FOSS will continue to lobby Councillor Grimes about needed repairs for the shelter. The Councillor’s office has responded that it is “looking into it” and that the repairs may be considered for inclusion in the 2017 park works’ plan. TWO-HOUR PARKING LIMIT ON SOUTH LOT AT COLONEL SAM: In order to reduce the number of parking spots taken up by non-park users in the south lot, a new two-hour parking program has been instituted. For users of Sam Smith Park who have expressed concern to FOSS about the ad hoc sale of alcohol and food (with no provision of suitable sanitary facilities) during Aussie Rules football games, FOSS has been informed by the city that the sale of food and alcohol and the use of barbecues are not allowed except by special permit from the city’s licensing department. Anyone with concerns should call 311 or contact 311@toronto.ca. Any complaints submitted are greatly strengthened when accompanied by a photo. "Attend the park at Kipling Avenue and Lake Shore Boulevard West on Sunday, April 23 from 9 a.m. to 3 p.m. Meet on the path east of the Lakeshore Yacht Club.“Protect our urban green spaces by reducing the amount of garbage in the park and along the shoreline,” said longtime Colonel Sam Smith Park cleanup organizer Alan Roy. Draw prizes, giveaways and community service hours available .Garbage bags and water will be supplied. Bring your own gloves and boots. Dress for the weather. Feel free to pack a lunch. Contact Alan Roy at alan_roy@rogers.com or call 416-937-4568 for more information. Toronto Forestry, Parks and Recreation and the Toronto and Region Conservation Authority." Humber College's Interpretive Centre is now actively offering exhibits at their space in room 104 of Humber College's Student Resource and Welcome Centre at the corner of Lake Shore Blvd. West and Colonel Samuel Smith Park Drive. The exhibits are free and anyone interested is very welcome. 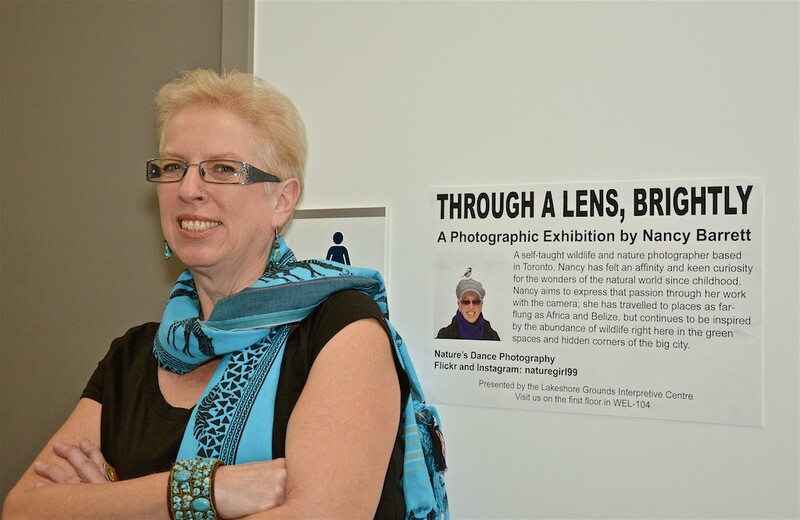 To find out more about the exhibits, click here. You can also subscribe by email for information on future exhibits. Currently, FOSS's very own Nancy Barrett has a photography exhibition entitled "Through a Lens, Brightly" that features the unique plant and wildlife of Sam Smith Park. 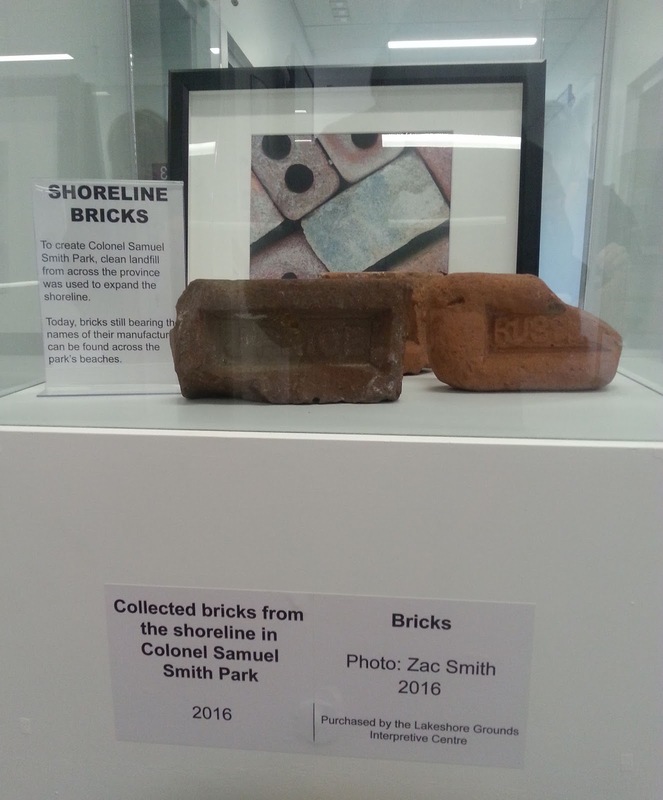 It is located on the 3rd floor and runs through to April 29th. Uri Grinbaum, one of our bird feeder volunteers, sent us these photographs that help illustrate the success of the project again this winter. Does anyone else have any feeder pics? If so, please send to FOSS and get them posted on our blog.